A bakery sells not just bread but it also offers a wide and varied selection of baked goods. How are you going to show to your customers that you are offering more than the usual and boring white bread? The answer is simple: by putting up a bakery menu. Now, just listing down what your bakery offers without caring about the design and layout is a big no-no. With the help of these fifteen bakery menu examples, you will have a guide on how to create your own bakery menu. 1. Put a twist on the names of your items. There is nothing wrong if you stick to the safe and normal way of naming your items in your bakery menu. There is nothing wrong with stating “Croissant” in your modern menu if you are indeed selling croissants– there is nothing wrong in being straightforward with the names you use in your bakery menu. There are some customers who are always in a hurry that they need direct answers. However, if you would like to take calculated risks and new ventures, start in doing so by creating creative names for the items on your bakery menu. There are also customers who are not really in a hurry and are very willing to open up on creative things like if you would like to name your croissant as “Crazy Croissant”– they would not see any problem with that. Be creative– invent names if you have to and have no limit to your imagination and do not just settle for a “Crazy Croissant”. Who knows? You might just create a signature for you bakery that your regulars would love. 2. Sort items into logical categories. Make sure that you will be able to sort your menu items in a logical manner. For example, on the first column of your menu, the first category that your customers will see are the different flavors of loaves you offer. On the second column, you can have a category for the sandwiches that you sell in your bakery. 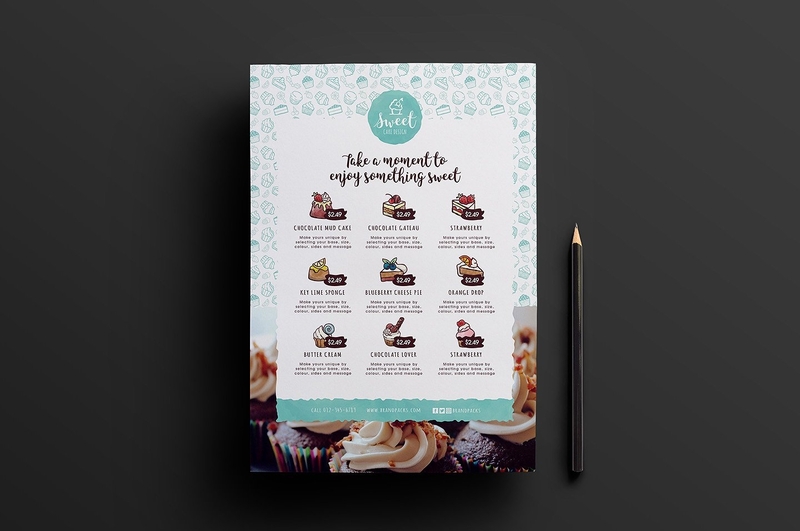 On the third column of your menu card designs, you can dedicate it solely to sweet baked goods like cakes, cupcakes, desserts, and pastries. Dividing your menu into logical categories will make choosing and buying easy for your customers so that their eyes will immediately go to the category in which their desired baked product is found. It also saves them time since there customers who are sure to order but they just do not know what to eat. However, do not overwhelm your customers with too many categories since it is in overwhelming them that they would be taking too much unnecessary time. Of course, a bakery does not only offer their baked goods, it also offers beverages so make sure to have a separate beer menu for your beverages. 3. Never forget to label the baked goods with prices for each item in your menu. Always remember and never forget to assign prices to the items in your bakery menu. There are customers who would get annoyed when they would see prices from art deco menu. There are customers who would think that having a menu with the absence of the price of each item found on the menu is pointless and there are also some who would immediately assume and conclude that a cafe menu without a price on each item means that each item is expensive and they would tend not to order more. As a bakery owner, you might come to a point that you would think that having a price on your bakery menu would discourage your customers even more since it could be possible that each price would be too high for them. Instead of thinking this way, just keep in mind that there are also customers who are willing to spend more and even if they could not afford one of your baked goods, there are some customers who would look at the menu to see how much their desired, but expensive, baked good is, and would be saving up the exact amount so that they would be able to delivery order it when they already have enough money. This is a true situation, especially in terms of buying cakes and pastries since this kind of baked goods, come in quite a hefty price due to the process in making such baked goods as well as the ingredients used in making it. Also, keep in mind to give a competitive price to each item from your bakery menu. Chances are, you may not be the only bakery around your neighborhood and the competition can be quite intense. Give you competitors real challenge by giving a competitive price for each of your baked product. Do not simply put a price on your product at a high range just because you want to earn. Consider the quality and quantity of the products that you used in your baked goods when pricing the finished product. You may also see Coffee Menu. 4. The size and shape of your bakery menu matters. A bakery menu that is too small would annoy both you and your customer. It would annoy you because if ever you have menu specials for the week, you cannot anymore make room for your special psd menu in your current and daily menu since it’s already too small. It would annoy your customers because there are some of them who cannot read small texts. Thinking of putting up a bakery menu that is too big would overwhelm both you and your customers. It would overwhelm you because a bakery menu that is too big can be really overwhelming and it would lead you into thinking that you have to add more items that are way more than you can manage to offer to your customers. A bakery menu that is too big can also overwhelm your customers, would cause them to take more time in choosing what to order, and as a result, some would decide that they do not need to choose and buy bread at all. The shape of your bakery menu also matters. You have to coincide it with the structure of your bakery. Colors really add life to just about anything. But keep in mind that you could not only just add colors to your bakery menu carelessly thinking that colors would bring life. There is a tendency that too many colors being placed on a design would not actually put colors but would even kill off your bakery menu design. You can incorporate the theme of your bakery, if you do have one, into your bakery menu. 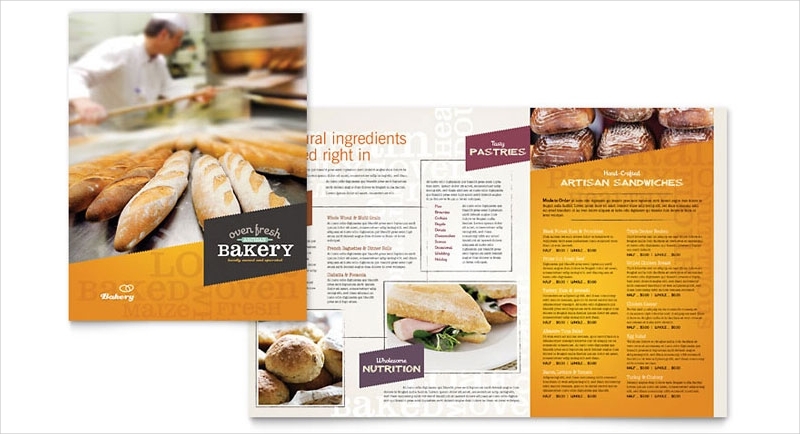 A contrasting design would make your bakery menu look off. 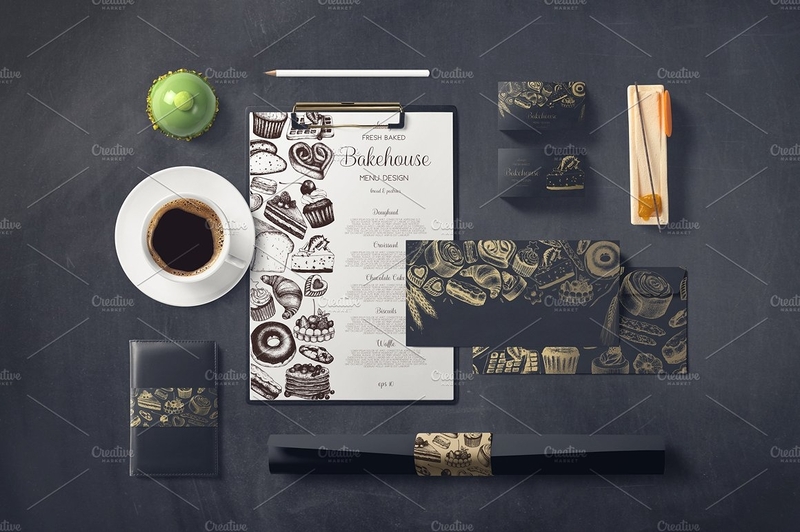 If you have a bakery that has a minimal theme and that you want your customers’ eyes’ to go immediately to your bakery menu, create a separate color scheme to your bakery menu so that you customers eyes’ would indeed lead towards your bakery menu as they would be entering your bakery. You may also see the salad menu designs. 6. Have a special menu. If you want to give your customers something to look forward to your bakery every week or month, then offer a special menu. 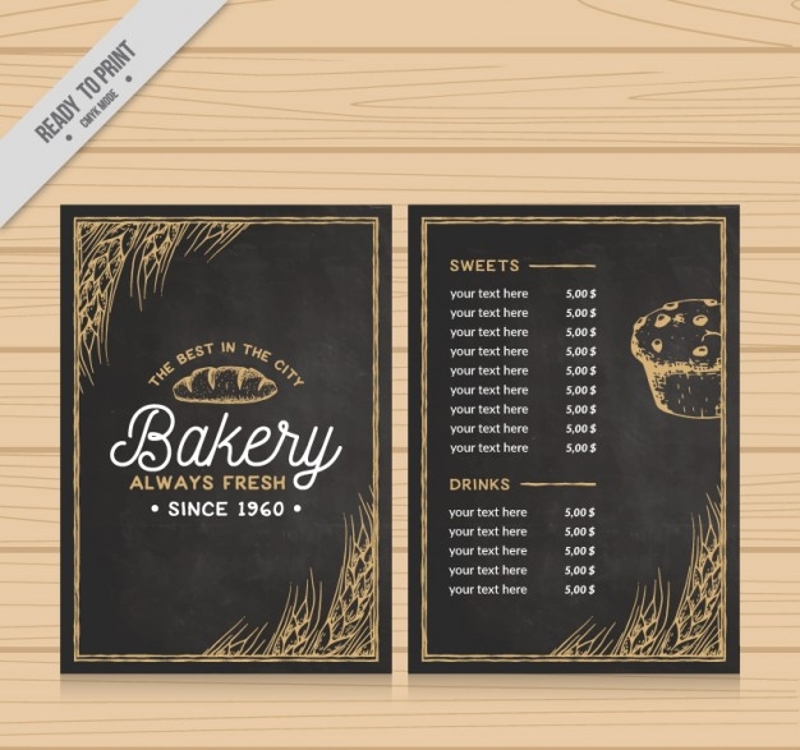 Your special chalkboard menu could contain a particular baked product that your customers love. It could be some kind of a cake that is hard to make that you can only bake it only once a week or once a month. Despite the difficulty of baking it, you have to keep in mind the advantage of baking and offering to your customers. If you find that they are willing to spend for it to the point that when you would be selling it, it would immediately sellout, then take it as a sign that maybe you should really put up a special menu. Having a special menu for your bakery can give you some advantage over your competitors. 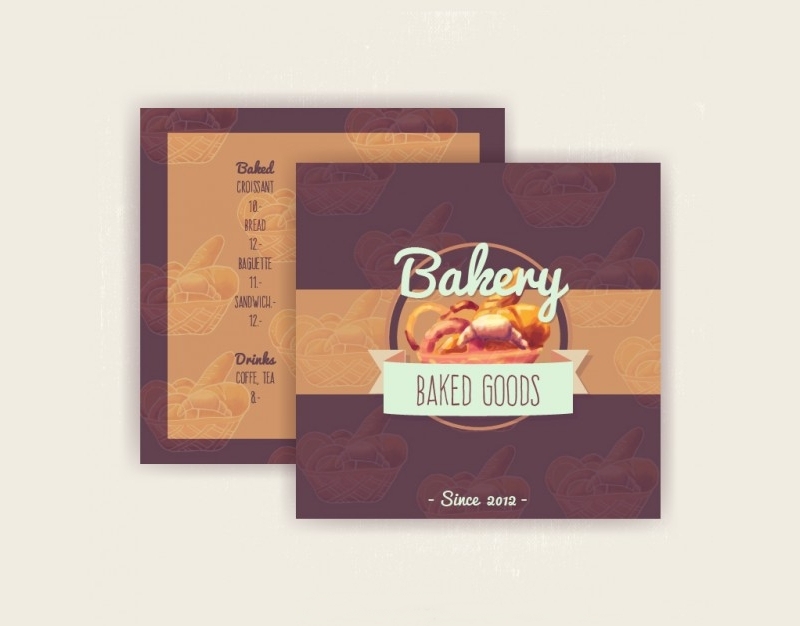 Also, have a special menu for your bakery and it can give your bakery some kind of a brand that your customers and even prospective customers a way of identifying your bakery. 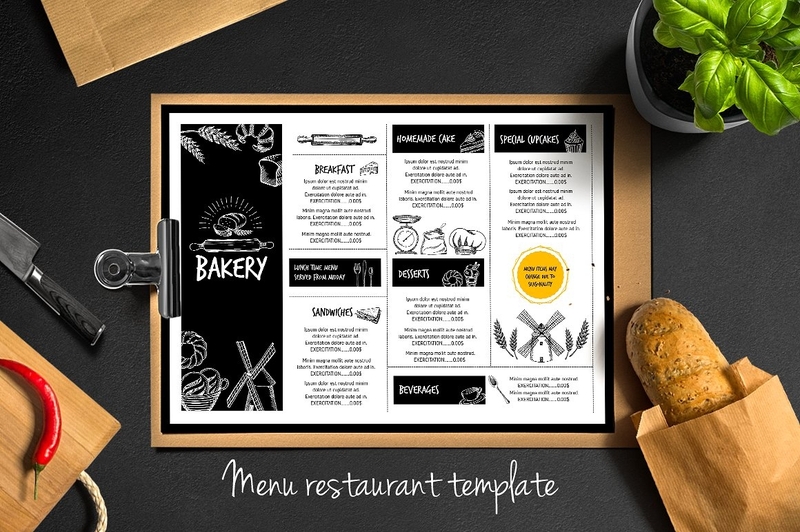 You might think the design for your bakery menu, or any kind of menu out there, is one of the least things that could contribute to the success of your bakery. But no; it is even one of the factors that could indeed affect your business. Here are some of the reasons why an effective bakery menu is important for you to achieve success in your bakery. 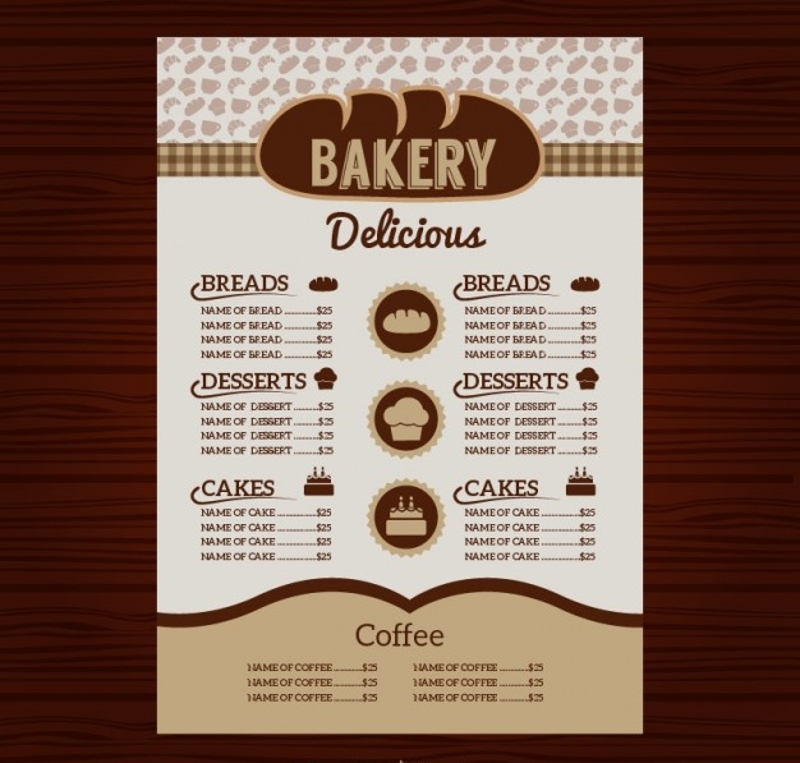 An effective bakery menu can provide a great impression to both of your current and new customers. For your new customers, your bakery menu can be a make or break for them whether to continue buying your baked goods or not. For your current customers, your bakery menu could be a factor whether they should continue buying your baked goods. 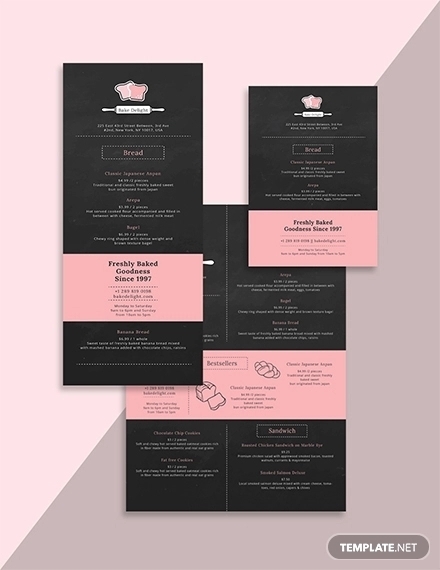 you may also see the printable menu designs. An effective bakery menu can help the customers in deciding what they should be ordering in your bakery. There are customers who are sure that they are hungry but unsure of what to order. Whether you believe it or not, an effective bakery menu is a factor in the bakery’s sales increase and decrease. Make sure you design and organize your bakery menu in a way that it would promote an active ordering form your customers. An effective bakery menu can serve as a way to market your bakery which is useful for your business operations and to the success of your bakery as a business in general. 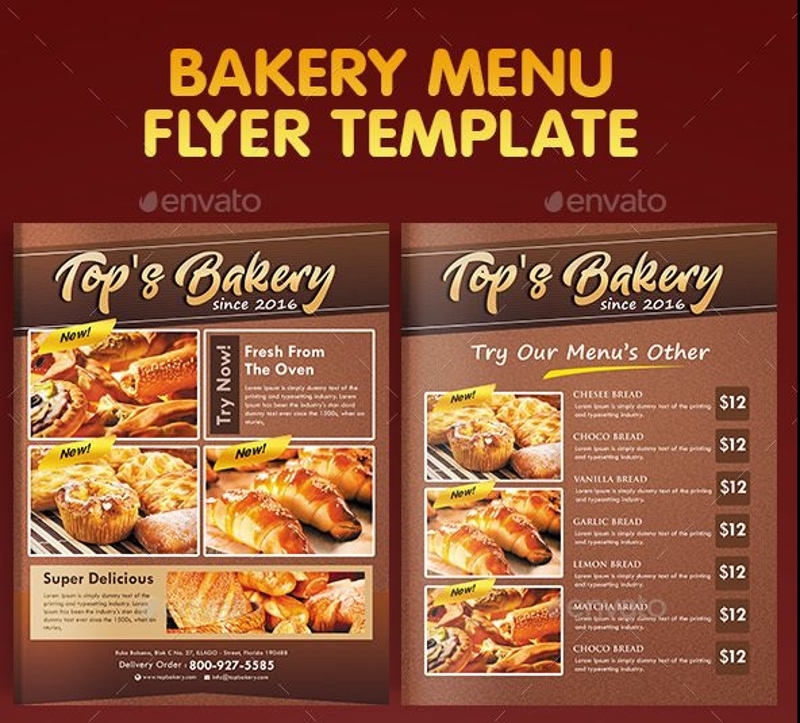 Just like any kind of menu you know of, your bakery menu should be organized well and effectively. It does not only benefit you as a bakery owner so that you would be able to have an organized business operations, it would also benefit your customers so that they would not take too much time choosing what to order from your bakery. 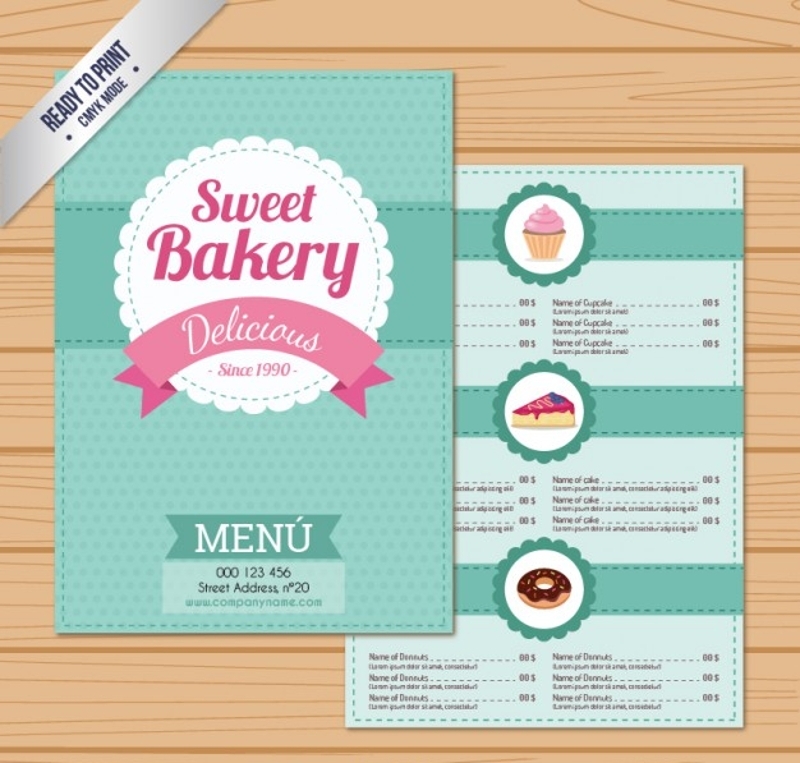 A presentable and organized bakery menu would also drive more customers to your bakery. However, if your bakery menu is just that–organized but the content is not comprehensive enough, then your design and organization are pointless. You should be able to put all the necessary information regarding each item of your bakery menu so that as soon as customers would arrive, they would immediately cite what their orders are and would not anymore take too much time asking your employees what a croissant is made up of or whether the white loaf you are selling is indeed white and not wheat. It does not necessarily mean that you have to put it all especially with a big food menu board since you might only need to put up the necessary contents like the name and the price of your baked items. The name of each baked product that your bakery offers or specializes should be highlighted, meaning it should have the biggest font. The description of each baked product should be indicated so that your customers would be able to have an idea what your baked product looks like if ever you could not provide photos. The main ingredients used in baking must be included since there are customers who are allergic to a particular ingredient and they deserve to know whether your baked product may or may not contain an ingredient that could trigger their allergies. The prices of each baked product should be specific enough so that your customers would know how much exactly are your baked goods would cost them. Make sure to update it whenever there are discounts and increases. The serving size of each baked product since there are some baked goods like loaves, cakes, pies, and baguettes that are good for more than one person. The image of your baked product can also be important so that your customers would immediately know what you baked goods look like. you may also see the catering menu. Why is there a Need for a Bakery Menu? Even the simple act of imagining a bakery that has no bakery menu is unimaginable. 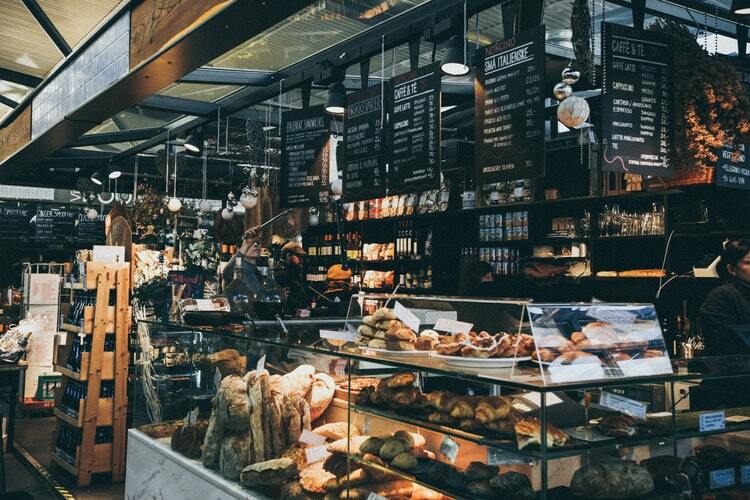 Imagine a customer getting into your bakery and that your bakery does not have a bakery menu– your customer will definitely question the absence of your bakery menu. You may also see the wine menu examples. 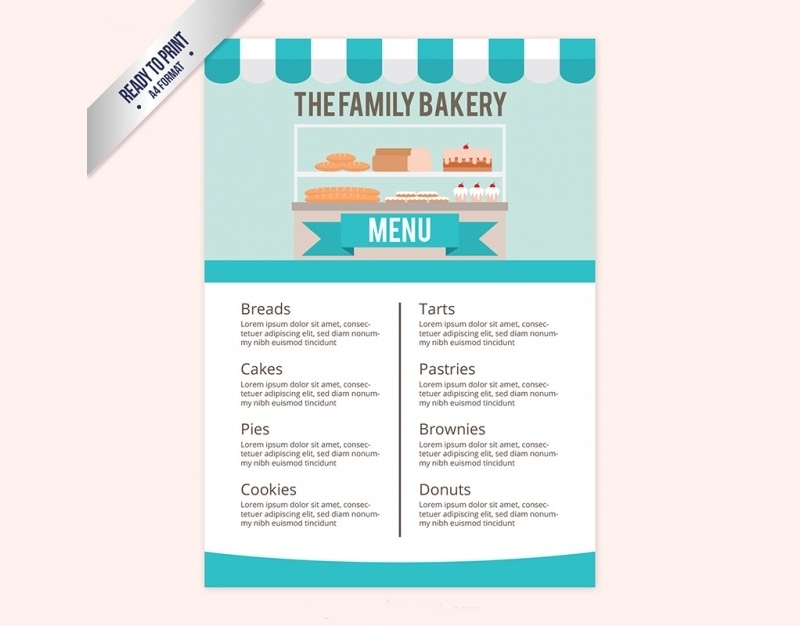 A bakery menu helps your customers to remember the baked goods your bakery offers. Not all customers would have a good memory that they could remember the name of the baked product they previously ordered from your bakery. A bakery menu would help your customers to identify what kind of baked product they ordered previously. There are some customers who would play favorites with their purchases. Once they would love a particular product, they will keep on coming back for more. But imagine having no bakery menu and the customer could not remember the exact name, let alone how the baked product looks– your customer will feel discouraged and would not buy anything from your shelf since he or she could not anymore identify what kind of baked product he or she has tasted from your bakery before.You may also see the drink menu. A bakery menu provides the necessary details. 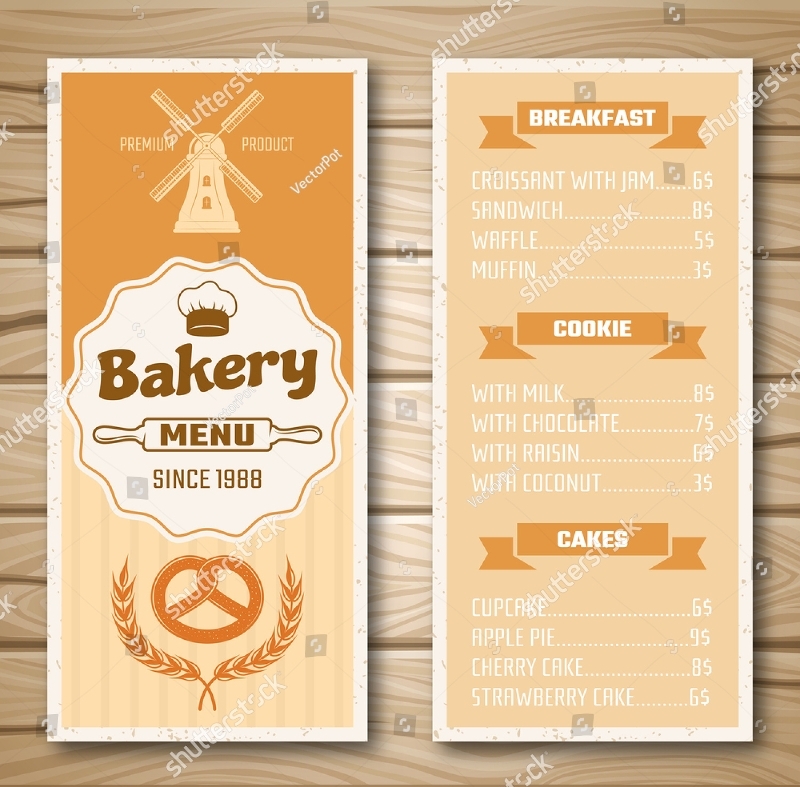 A bakery menu provides the necessary details your customers would like to know about the baked goods that you are selling and that it would also save you some time since your customers would not anymore need to ask a lot of questions from your employees. There are also some customers who are too timid to ask what a particular is made out of that is why they would just order whatever is ready on the shelf even if in the end, they do not actually like what they have bought. Make sure that every customer that comes out from your bakery is a satisfied customer and a bakery menu could be one of the factors that your customers will be satiated. There are some details that you might assume has no impact on your sales plan but be careful as little things can bring about a big impact on your business. 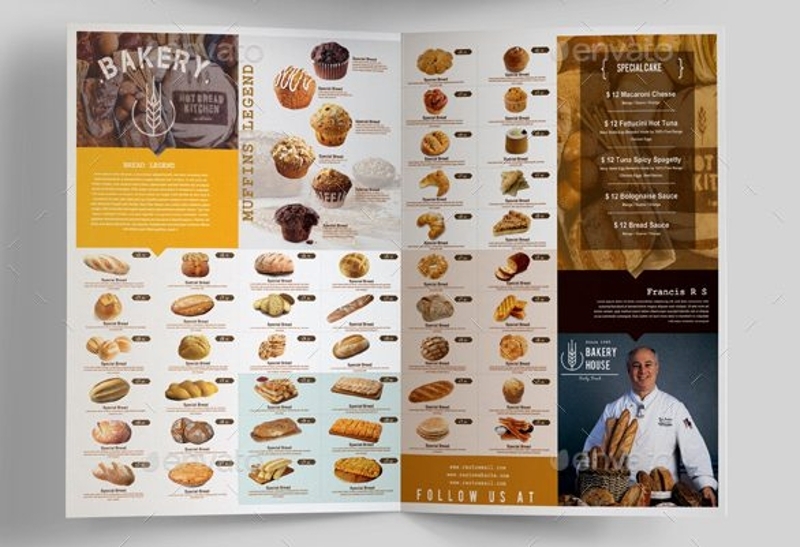 A bakery menu with an effective and wonderful layout is a form of advertising. 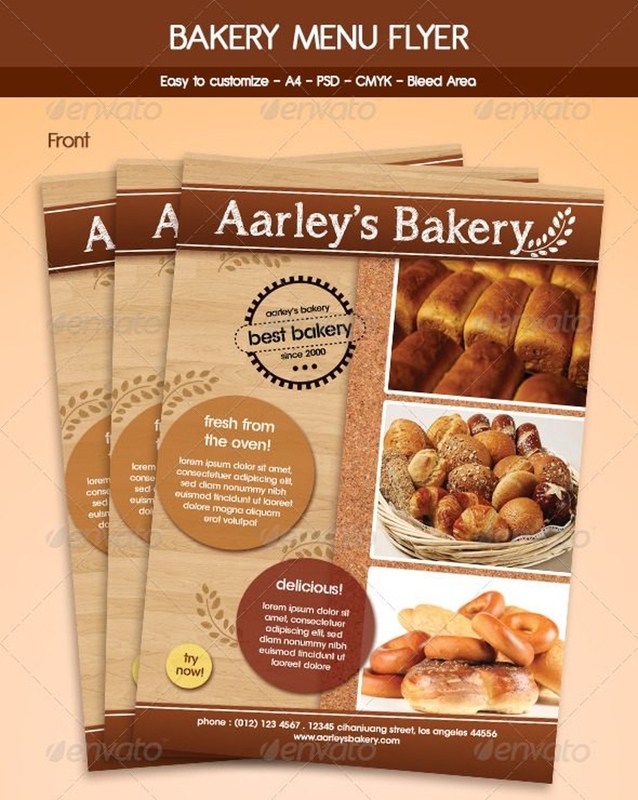 A wonderful design bakery menu is already a form of advertising that would encourage your customers to keep on returning and you would also have new customers coming soon. We all know how important advertising is in the business world. There are a lot of bakery owners who would shell out a large sum of money just so they can advertise their baked goods. Some would even make jingles and play it on the radio, television, and even on the internet just so they can provide a way for people to know about their products. 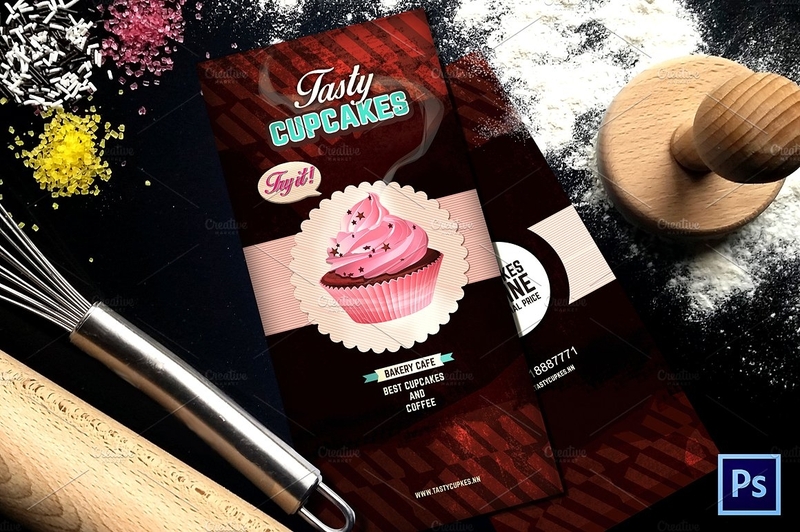 If you do not have a budget for grandiose methods of advertising, you can always start small by simply have a bakery menu design that could attract a lot of customers. 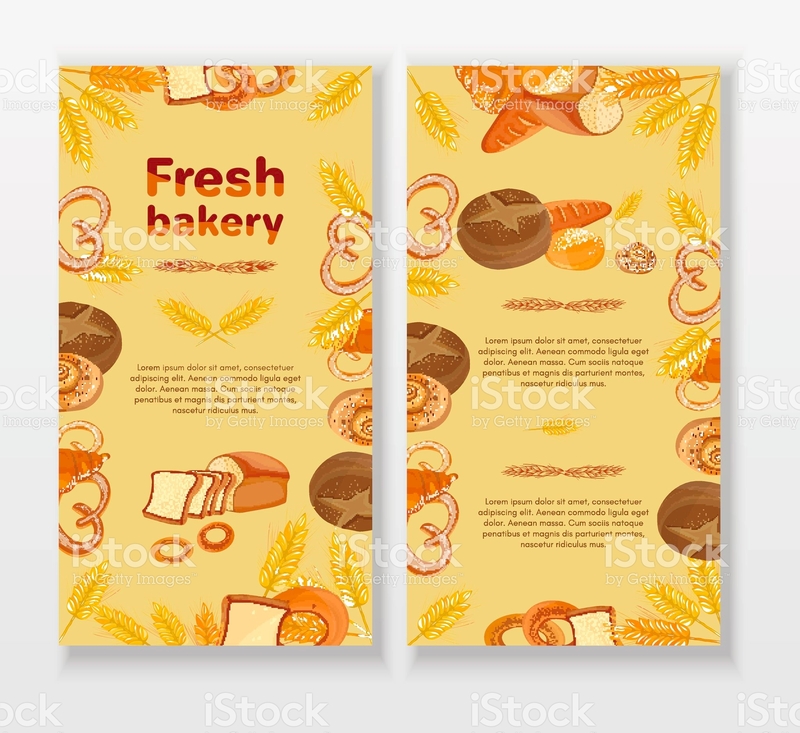 And even if you have been in the bakery business for some time already and still have poor sales, boost it up by updating both the contents of your bakery menu as well as its layout. You may also see the pizza menu examples.